Battery life is a major issue with all Android phones. Eric Schmidt, CEO of Google believes, “If you are not getting a day, there is something wrong”. The trouble is that most Android users don’t manage to get a day of battery life out of their handsets. When I got my Sony Ericsson Xperia X10i, I basically had to charge it round the clock. 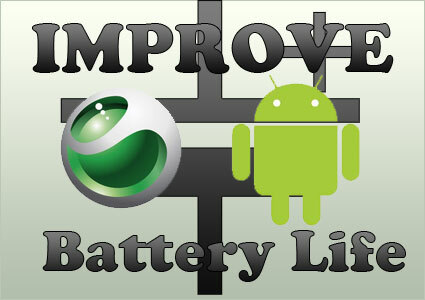 However, the good news is that there are a few things you can do to drastically improve your phone’s battery life. My Xperia now lasts for a day with moderate usage, and even a couple of days, if used lightly. Yes, this is the same handset that was consuming 35% battery overnight, while lying idle. Based on my own experience, here is a quick guide to drastically improving your Sony Ericsson Xperia X10’s (or any other Android phone’s) battery life. My battery life improved on its own after using it for some time. If you have just purchased your handset, force the battery to go through at least 5-6 complete charge-discharge cycles. Firmware updates can make a big difference. Sony Ericsson Xperia X10’s R2BA026 is a huge improvement over the initial R2A016 firmware that I had received. Disable features that you don’t need. For example, I use a 2G SIM, so I have disabled WCDMA (3G) (Settings–>Wireless Controls–>Mobile Networks–>Network Mode). Disabling Wi-Fi and Bluetooth can also significantly improve your battery life. I would also recommend that you allow your handset to auto-adjust the brightness (Settings–>Sound and Display–>Brightness), if it has an ambient sensor. Some users also disable GPS. However, I find GPS to be too handy to have disabled. Moreover, as long as an app doesn’t explicitly request GPS services, it won’t consume any power. Badly coded apps can have a disastrous effect on your battery life. For example, a recent release of Facebook had a bug that prevented the system from ever going to sleep. As a result, that app tanked my battery in just a few hours. Although pundits advice against using Task Managers in Android, I would recommend installing one. Just don’t use it every time you need to exit an app. Instead use it to kill the apps you know are troublesome. In general it’s a good idea to kill any (so called) HD games that are running in the background; I have found Gameloft games to be particularly troublesome. If you are experiencing unnaturally fast battery discharge rates, then you can use trial and error to find out which app is causing the problem. A more sophisticated approach is to use an app like WatchDog to monitor resource consumption of processes. Many people also swear by Autokiller (requires root). You need to be especially careful about apps which connect to the internet to fetch data at regular intervals – e.g. Facebook, Twitter, email clients and RSS Feed readers. Don’t set the polling interval too high, else you will run out of battery in a few hours. Widgets are another category of apps that can be battery hogs. Don’t use a widget, unless you really need it. Another good idea is to limit the number of apps that starts up automatically during system boot. There are plenty of apps in the market that can do this. I use Startup Manager on my phone. Rooting most handsets is pretty easy. The Universal Androot as well as SuperOneClick is capable of rooting a host of handsets including the X10. Xperia X10 owners can also refer to this thread on XDA for rooting their handset. Once you have rooted your handset, go ahead and purchase an app called SetCPU. You can download it for free from here, but it’s worth purchasing anyway. SetCPU allows you to throttle your CPU on the fly to reduce battery consumption. Different people have different recommendations. The screenshot embedded below shows the configuration that I use. Feel free to experiment and find your comfort zone. Basically, the important thing is that you should throttle your processor when the screen is off, and you should throttle your processor when your battery is about to die. That’s it! If you follow the steps mentioned in this article carefully, you should end up with an Android handset with above average battery backup. In case, you need still more battery life, consider getting a spare battery or one with a higher capacity. PS: If you are experiencing unusually high battery consumption, download an app called Spare Parts. Use the “Battery History” section to diagnose troublesome apps. I also use a nifty widget called aiSystemWidget for tracking battery consumption. Many people also swear by battery savers like JuiceDefender or UltimateJuice. However, I have had a bad experience with them, and found that I can do just as well without ever using them. Also regularly killing unnecessary apps with Advanced Task Killer helps a lot. That’s interesting that burning in the battery like that causes it to have better performance in the long run, I would of thought the opposite would happen. Same here, I had no idea. We learn something new everyday. 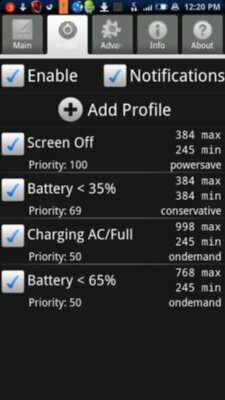 This is a superb post How To Improve (More than Double) Your Xperia X10′s (or any other Android Phone’s) Battery Life . hey i found this searching for a battery for my droid! now i know what to do when i get the new battery, thanks for sharing! I;ve heard of the battery burn out before. Any idea why these batteries are like this? It really doesn;t make sense to me at all. Honestly speaking, I don’t have any idea. I guess someone from an electrical background can clarify. Completing a few charge-discharge cycles allows the crystal structure of the electrolytes to settle in. This is especially true for the older Ni-Metal cells which must be charged and fully discharged each time to prevent reduction in capacity due to “cell memory”. eg: Camera and Rechargeable pencil cells. Lithium Ions in todays cell phone can be (and should) charged as often as possible. Short top up charges help extend battery life. But a few initial full cycles help expand capacity. Battery life can be increased by completely unchanging the phone once in a week and then charge it full before use. I guess you are referring to the battery burn-in I mentioned. The things that really kills my phone’s battery are the “Always on Edge” and “mail fetching”. It improved a lot after disabling these functions. Thanks for the info. I am upgrading to an android in a month and was worried about the life of the battery. Is it still true that you should let it charge for 24hrs. the 1st charge to keep the life of the battery good? I agree with you sourish. Google should pay more attention and make there apps work better. The main reason I was planning not to buy an android phone was the battery life. These are some fantastic ideas to extend the battery life, thanks for sharing. thanks for the tips. I have wondered about how to help with battery life of my android. Interesting i never knew about some of this. I liked Eric Schmidt’s advice to manage a day for battery life. Rightly if an adnroid user wants to get real experience of its android phone, he/she needs to get full charged of his/her android phone’s battery. Sometime,it happens that android user don’t know how much the battery has charging and he/she understands by looking at the battery icon, battery is full but actually it is used almost few percentage. Sometime user charges the battery in hurriedness of 10mins or 30 mins and think that battery got charged but there is a standard of charging the battery as like Eric said, he had to charged his Sony Ericsson Xperia X10i, round the clock. Anyway, i pleased to read you won experience and really all the points make clear sense and worth to understand. Thanks for useful tips.